Have you seen and tasted wine on the De Portola Trail these days? With the recent opening of Fazeli Cellars and the new ownership of Masia de la Vinya by the current owner of Danza del Sol, the winery count is now 10 with an increasing visitor population that likes the “elbow room” and scenic vistas that the De Portola Road wineries provide. The trail is part of the Temecula Valley wine country, winding south of the main body of wineries. Most of these De Portola owners have put lots of money into improving their properties. And the money has been well spent, as the wines are vastly improved. Owners like Robert Renzoni understood early on that a complete wine experience was crucial, so he set about to make fine Mediterranean-style wines with lots of choices, from Tuscan Sangiovese to the complex star-quality Sonata, which matches The Italian Super Tuscans. After years of crucial funding searches during the great recession, a state of the art tasting room was built, with indoor-outdoor amenities second to none. An Italian-style bistro serves an authentic old-world menu (try the pizzas, meats and cheeses direct from Italy!) There’s lots of live entertainment, even a bocce court. 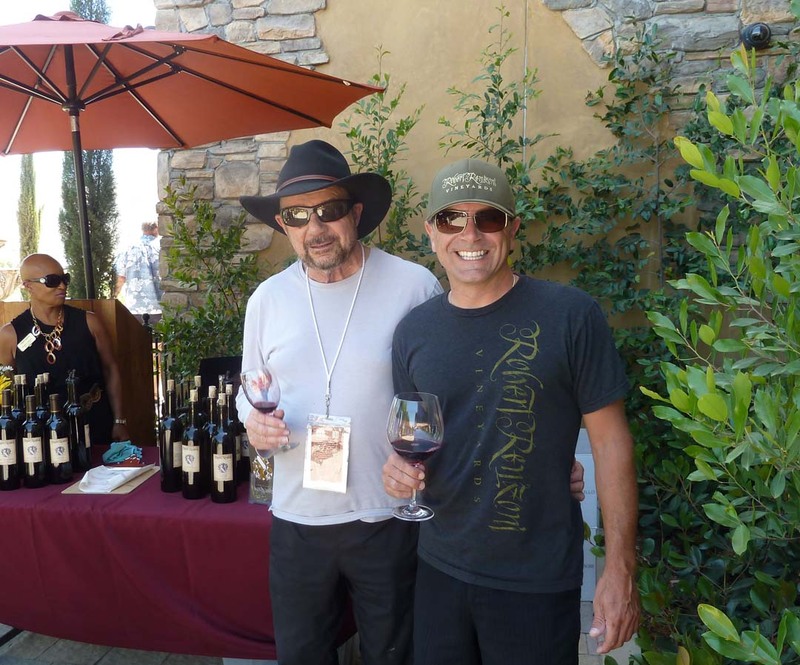 We have documented the newest wine attractions, Fazeli Cellars, next door to Robert Renzoni and the exciting CAVE produced by Oak Mountain Winery a few blocks up the road. I stopped in to see Christina and Ken Falik of Gershon Bachus Vintners (the winery was named after Ken’s grandfather) in the same neighborhood as the others. The winery produces 12 varietals of wines, and none are released younger than 5 years old. The couple were pouring wines like a 2010 Zinfandel ($45) and a 2007 Cabernet Sauvignon ($59). These wines are in limited production offering the highest quality possible. The cab received 93 points in Wine Enthusiast. I asked Ken Falik what he has observed about this wine region over the last 10 years. “We weren’t wine people,” he said. “We came from L.A. to build a house for weekends. One thing led to another and it became a winery. First few years we found out this was not Cabernet country like Napa Valley. But over time and maturity in the vineyards, even the cabs are so much better now. Visit their website at deportolawinetrail.com. The 2016 Pacific Rim International Wine Competion is in the books and Temecula Valley’s long-time winning winery South Coast Winery Resort & Spa has done it again. 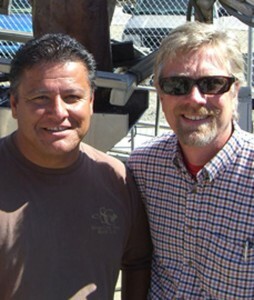 Their talented wine team of winemaker Javier Flores and master winemaker Jon McPherson brought home the Grand Champion Best Red Wine award with a 2014 Mourvedre ($14) among other honors. This wine is classic red cherry fruit and a Rhone Valley French favorite. I have walked the vineyards with these two winemakers that have always kept up with the changing trends in wine production. Falkner, Maurice Carrie and Hart Winery. For more, visit southcoastwinery.com. North County Wine Company in San Marcos has a Top Shelf Wine Tasting June 10 from 4 to 10 p.m. Cost is $25, including snacks. All wines are 90 points and beyond. Call (760) 653-9032. The city of San Marcos is presenting a Summer Music Fest June 11 at Walnut Grove Park, which includes a wine/beer garden and food vendors. The event goes from noon to 9 p.m. Tickets are $15 before the event; $20 at the door. Children under 12 are free. Go to sanmarcos.net or call (760) 744-9000. Pechanga Resort & Casino in Temecula is holding a Microbrew/Craft Beer Festival June 11 from 1 to 5 p.m. in the main ballroom. Go to pechanga.com or call (877) 711-2WIN. in Encinitas announces an “M Mondavi Folio” of fine wines June 10 from 6 to 8 p.m. Marci Kravitz sales manager will moderate. Call (760) 479-2500 for details. Tickets are $20.